Asbestos is a proven human carcinogen (a substance that causes cancer). Lack of health surveillance of asbestos exposed workers and consumers is an invitation to disaster from wholesale public exposure, especially babies and infants in India. Some 45 countries have banned this killer fiber. Asbestos consumption is rising dramatically in India even as U.S. Senate passed Ban Asbestos in America Act on October 04, 2007 unanimously. Asbestos is banned in Europe since 1 January 2005. Indian politicians of all ilk seem to be hand in glove with both the Indian and global asbestos traders. The ruling Indian National Congress led United Progressive Alliance government and left supporters in their states too are guilty of subjecting Indian workers and consumers to asbestos hazards. But countries like Russia, Canada, Kazakhstan and Brazil continue to produce, trade and promote this ticking time bomb in India. 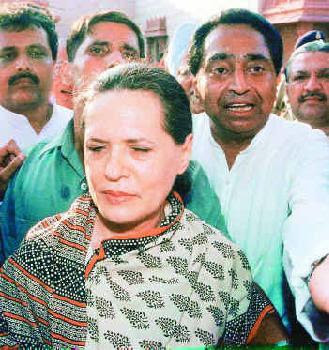 Instead of protecting the interest of their citizens,leaders like Sonia Gandhi and Kamal Nath(Congress leaders in the picture) remain callous towards asbestos victims. The Russian Federation has also been found to be exporting asbestos industry waste to India. Research is showing asbestos epidemics across the globe even in countries where it is currently banned, as the consequence of past exposure. 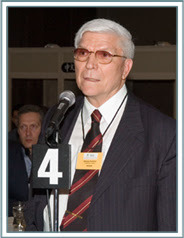 It is noteworthy that International Conference on trade unions & chrysotile asbestos in Moscow (25-27 April, 2007) issued an appeal to World Health Organisation opposing the “WHO Policy on elimination of asbestos-related diseases” in favour of controlled use of chrysotile asbestos. The appeal concluded saying, “We are sure that chrysotile must not be banned for the sake of health and social welfare of hundreds of millions of people in the world (especially in developing countries), who suffer and prematurely die from having no shelter and clean water. A wide use of low-cost chrysotile-cement products is necessary to resolve this problem” ignoring the WHO finding that no safe level can be proposed for asbestos use because a threshold is not known to exist. Asbestos production and marketing started in the Urals at the start of the 19th century. By the onset of World War I, Russia was the world’s second biggest asbestos producer, although well behind Canada. In 1975, Soviet Russia overtook Canada as the world’s leading asbestos producer. Russia remains the leading world asbestos producer. The country’s principal asbestos mine (Uralasbest) was privatized and was owned by new Russian capitalists. It was even declared bankrupt in 1997 but it resumed its activities afterwards. There has virtually been no debate on asbestos either under the Soviet regime or since. Following the banning of asbestos in the European Union, the Vladimir Putin government did set up a panel of experts to give an opinion on a possible Russian asbestos ban. The panel’s report is an impassioned defence of asbestos use. The pro-Russian asbestos lobby like their counterparts in Canada, Zimbabwe and Brazil too claim that it holds relatively little danger for health. The Russian authorities continue to deny the health havoc wrought by asbestos. Russian media, civil society and academia must sensitize the Russian citizens to desist from exporting asbestos to gullible Indians. In September 2007, Independent Peoples Tribunal (IPT) on the World Bank Group (WBG) was presented with evidence of Bank officials suggesting how it finances huge infrastructure projects all over the world including India despite this there is no formal restrictions on the use of asbestos-cement (A-C) sheets and pipes in these projects. Over 90 percent of all asbestos used today is in A-C sheets and pipes, and this production is concentrated in poor countries. Ban Asbestos Network of India (BANI) called for urgent action in India and elsewhere to end the needless slaughter caused by this environmental and occupational health catastrophe. The 4-day IPT was held from 21 –24 September at Jawaharlal Nehru University, New Delhi. It was demanded, “The World Bank should adopt a formal policy of forbidding asbestos in all of its projects and require the use of safer substitute construction materials. Such substitution is feasible as shown by the bans in more than 40 countries.. The World Bank should also adopt best practice guidelines for the minimization of asbestos exposures in projects where in-place asbestos materials are disturbed by renovation or demolition activities.” It has called upon the World Bank to support the asbestos action program just started by the WHO and use its influence and leverage to press for cessation of asbestos use all over world. The report of World Bank environmental official Robert Goodland, "Sustainable Development Sourcebook for the World Bank Group's Extractive Industries Review: Examining the Social and Environmental Impacts of Oil, Gas, and Mining" (3 December, 2003). Policy options for asbestos (p. 141) included, "5. The WBG should work with the rest of the UN system to foster a global ban on asbestos." Sixty-seven-year old Mangabhai Patel, a retired workers of Ahmedabad based Torrent Power Ahmedabad Electric Company (AEC)Limited is battling asbestosis. Patel has been diagnosed with asbestosis by the National Institute of Occupational Health (NIOH). He got exposed while working at Torrent Power AEC where he had to pound asbestos and paste it along pipes as an insulator. Workers were given no protective gear while working and the result is showing on their body now. Narayanprasad Mehra, another retired AEC worker worked for 25 years at the AEC power plant and he was diagnosed with asbestosis long before he retired. Motiram and Manaji Rathod () died on 5 January 1996 and 2 February 1996 respectively. NIOH submitted its report to the Court on 22 June 1996. The High Court passed an interim order but Kishan Gopalani, died soon after the order. There are numerous such people who are suffering from both the disease and apathy of the government and the companies. Indian government should disassociate itself from the Russian and Canadian asbestos lobby and take lessons from the nations that have banned this fiber to safeguard its workers and citizens. P.S: Pascal Lamy, Director-General, WTO in a speech at the Yale University on 24 October 2007, said that the WTO has surprised critics by showing itself to be “capable of delivering not only trade justice, but some measure of environmental justice too,” citing as examples the dispute cases about asbestos and sea turtles. Given below are the Press Releases of Ministry of Commerce & Industry, Government of India prior to the WTO order on asbestos. These Releases make its position on asbestos quite clear. So far there has been no change in the Indian government's stance in the matter. At a special meeting of the General Council of the World Trade Organisation (WTO) held in Geneva, on 22nd November, India joined a vast majority of WTO members in protesting against the Appellate Body’s decision to invite amicus curiae (literally meaning "friends of the court") briefs* in the case relating to "European Communities -- Measures affecting Asbestos and Products Containing Asbestos ". India's statement at the meeting by India's Ambassador to the WTO, Shri S Narayanan, made it clear that India did not regard this issue as a procedural one, as viewed by the Appellate Body, but a substantive matter in which the Appellate Body's approach was totally unjustified. In his statement Shri Narayanan dwelt at length on how the Appellate Body's approach to accept unsolicited briefs as well as to invite submissions from any source on the most sensitive of all issues in the WTO, namely dispute cases, amounts to changing the inter-governmental character of the WTO. For one thing, the ultimate compliance is to be done by Governments, not by others. Furthermore, Governmental position in disputes are arrived after consultations with all domestic stake holders. If Governments know that their non-governmental agencies have a further chance to influence the dispute settlement mechanism, then, they would pay less attention to finalising their positions and even worse, there may be implications for compliance by the Governments themselves, he said. 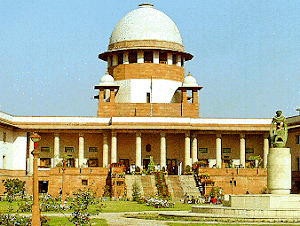 Shri Narayanan also said that the Appellate Body's approach would also have the implication of putting the developing countries at an even greater disadvantage in view of the relative unpreparedness of their own non-governmental agencies who have much less resources and wherewithal either to send briefs without being asked for or to respond to invitations for sending such briefs. Looking at the record of the WTO Appellate Body, Shri Narayanan said that the Appellate Body was at its best when it confined itself to its mandate i.e. deal with issues of law and legal interpretation. When it went beyond its mandate and started making rules or amending rules and thus encroached into what was admittedly Members' territory, it created a problem for itself and the entire membership. In conclusion, Shri Narayanan said that the Appellate Body should show deference to the conviction of almost the entire Membership that in accepting unsolicited amicus curiae briefs and seeking amicus curiae briefs, the Appellate Body was acting without mandate and to take appropriate measures to remedy the situation. Subject-Why is asbestos not banned in India? I am a environment and public health researcher. This is to seek your help in procuring some basic information on asbestos. Dr. Anbumani Ramadoss, Union Health Minister has informed the Lok Sabha about asbestos. He says, "regarding asbestos, a lot of poor people use it. As regards the issue pertaining to banning of asbestos, as a health issue, the Government certainly has not taken it up. It is an occupational hazard and people working in the asbestos factories are prone to lung cancer, but we are taking the enormity of the usage of asbestos. Mostly, poor people in the villages use it. Hence, I cannot take a decision on this issue." If that is the case, I wish to know who can take a decision in this matter. In such a context is it not unpardonable to succumb to pressures from asbestos industry who have been lobbying with the help of Chrysotile Asbestos Cement Products Manufacturers' Association, a corporate NGO and Asbestos Information Centre, a corporate NGO both are are affiliated to multinational asbestos producers through International Chrysotile Association. Is it not true that NIOH took funds from Chrysotile Asbestos Cement Products Manufacturers to do research on safe use of Chrysotile Asbestos? Is it ethical? Does such research have any academic worth? One had heard of the cigarette lobby funding research on impact of tobacco consumption abroad. Now, we hear it in the case of asbestos in India. The asbestos lobby has partially funded a research commissioned by chemicals and fertilizers ministry to look at environmental and health hazards posed by the use of its key product - white (or chrysotile) asbestos - exposure to which is known to cause lung cancer and other lung-related diseases. There was a newspaper report in June 2007 in a national daily that NIOH is conducting the study at a cost of Rs 59.66 lakh of which Rs 16 lakh will be contributed by the industry and rest by government. Is this study complete and is it available in public domain? Is there a study in India that has recommended ban on all kinds of asbestos as has been done in some 45 countries. Or is there a study that looked at the scientfic rationale of ban in these countries and has come to the conclusion that their rationale is unreliable and irrelevant to Indian conditions? Has the ILO Resolution on Asbestos dated 14th June, 2006 and the WTO order of 2001 in the matter of Chrysotile asbestos been studied by NIOH and found to be without merit? If safe and controlled use of asbestos is not possible in these 45 countries, why is it argued that it is safe in India? As per a report of NIOH where it lists its achievements, "Hon'ble Supreme Court in its judgement of January, 1995 has identified NIOH as the final authority for diagnosis of asbestosis for compensation purpose. Large number of asbestos cement workers have been compensated due to efforts of NIOH scientists." It stated in the NIOH report that "The levels of asbestos fibers in Ahmedabad and Hyderabad factories which were higher than permissable levels came down to below the permissible levels." Please let me know what is the current permissible level and what is the proposed permissible level for workers and for the environment in the near future. Also which are the factories in Ahmedabad and Hyderabad that did this exemplary work of bringing down the levels of asbestos fibers. Several such factories are operating in Uttar Pradesh as well. The Supreme Court has laid down several safeguards for workers who are normally denied any compensation if they suffer from lung disease after they cease to be in employment. It has directed that all industries should maintain health records for a minimum period of 40 years from the beginning of employment of a worker or 15 years after retirement and factories should provide health insurance to workers dealing with asbestos. Is there a study that led to ban of asbestos mining in India? Isn't asbestos mining banned in India? Is this direction followed by the factories? Is there an institute in India that compiles medical statistics on asbestos victims? Does NIOH have any estimate of how many people in India have occupational cancer from asbestos? Has it done any such study? I wish to know as to the exact number of workers who have been certified to be suffering from asbestos related diseases and how many have received compensation of Rs 1 Lakh. Is Rs 1 Lakh compensation sane and sufficient for the asbestos victims? 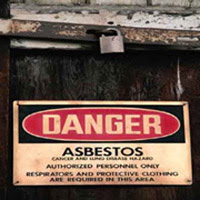 Primary exposure to asbestos in India can be encountered in the form of asbestos mining, asbestos cement industries, asbestos processing unit and during renovation and demolition of old asbestos cemented roof or other structures as well as modern electrical as well as mechanical appliances in which asbestos is still found. Ultimately construction workers, electricians, vehicle mechanics and other workers in the building trades who are exposed to asbestos inhale hundreds and thousands of amphiboles, which causes lung damage. It is being mined in India at places such as Andhra Pradesh (Pulivendla), Jharkand (Roro), Rajasthan (Ajmer, Bhilwara, Udaipur, Rajsamand) and the common problem faced by the locals are asbestosis through air and fluorosis through drinking water. The problem continues to be in India as well as other developing countries. Also, India import and re-export asbestos to other countries and workers at shipyard, transport of the hazardous material on road and roadside residents all are vulnerable to this uncommon disease. The signs and symptoms generally found with the workers are shortness of breath, persistent and productive cough due to pulmonary fibrosis can show up many years after the asbestos exposure. Information showing asbestos-cancer relationship was available as early as the 1940s. During next 2 decades, enough epidemiological as well as experimental evidence was generated to prove this relationship. For half a century the asbestos industry, in collaboration with some of the leaders of occupational and respiratory medicine, was able to suppress most of the data1. 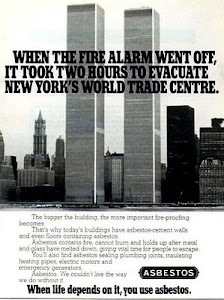 Meanwhile, millions of people were exposed to the carcinogen and hundreds of thousand died. The knowledge that asbestos causes cancer became public in the 80s, not because of scientific community but as a result of prolonged struggle and legal actions by ordinary people. For decades, certain privileged sections of the world order, including some scientists, were instrumental in the enormous release of a known carcinogen, just to keep their “profits” intact. Now we have a job on our hands - for a century - to combat the insult. Isn’t it a profound statement on our times, our polity and to an extent our science? Asbestos is the generic term given to a group of fibrous minerals found throughout the upper crust of Earth. Chrysotile, amosite, crocidolite and anthophyllite are four commercially important forms. Chrysotile (white asbestos) alone accounts for 95% of global asbestos production. Most of it comes from Quebec, Canada3. The largest user of chrysotile fiber (85% of total use) is asbestos cement industry4. Today we have incontrovertible evidence that besides causing a progressive fibrotic disease of lung called asbestosis, asbestos (including chrysotile) also causes cancer of lung, malignant mesothelioma of pleura and peritoneum, cancer of larynx and some gastrointestinal cancers5-8. In late eighties and nineties, scientific community responded with earnestness and clarity. The impact was positive and immediate. Environmental Protection Agency (EPA)3 and WHO’s International Agency for Research on Cancer (IARC)9 declared asbestos a proven human carcinogen. When some doubts were raised that white asbestos may be having lower level of carcinogenicity than other forms, the issue was carefully re-examined. Some studied inferences have been drawn after careful deliberations: chrysotile, like all other forms, is a potent human carcinogen; no threshold has been identified for carcinogenic risks; asbestos exposure and smoking have synergistic effect on risk of lung cancer; and chrysotile should be replaced by safer substitutes, wherever available9-12. Over 40 countries have banned all forms of asbestos, including chrysotile. From January 2005, no asbestos product would be released in all 25 member states of European Union. In contrast, the Indian asbestos companies continue to flourish in pro-asbestos climate. Since new asbestos use in being made increasingly difficult in developed world, the global asbestos corporate is trying to create new markets in the countries with weak legislation. Rapid growth potentials are being used as a ploy to stall the process of asbestos-ban. The results are visible, with an annual growth of 9% in asbestos-cement sector in India. Market stakeholders have a strong incentive. They are influencing policy to ensure a constant reduction in asbestos custom duties. One of Indiaís biggest asbestos-cement companies, reported a net income of over 10 million US$ for 3rd quarter of 2004, an increase of 25% on the preceding quarter. Its new production unit in Karnataka should be operational by now. Rising revenue and increasing manufacturing capacity of all major asbestos players make asbestos a “good investment” in share market according to financial analysts and advisors14. Vast majority of the asbestos produce (80%) is used for rural low-cost / housing, schools and industrial structures. Recently, efforts were made to use asbestos products in the rehabilitation work for the tsunami victims, even when safer, non-inflammable substitutes existed. To dominate the Indian asbestos agenda, a corporate sponsored misinformation campaign has taken aggressive mode in public domain. India has seen a media blitzkrieg of pro-asbestos propaganda in 2003-2004. Initially is started with full page advertisements15,16 in most of the national dailies and magazines, appearing on regular basis. Then came the spate of speical supplements, full page features and news stories. They were apparently authored by the asbestos cement manufacturers but the credit line was either anonymous or belonged to the newspaper, providing much needed reach and credibility to the industry17. Many of these features have misreported scientific papers and proceedings18. Web-based electronic news papers are following such stories. Counterpoints and protests are either ignored or marginalized to small letters. This cynical abuse of money and power under the garb of freedom of expression continued in 200519. We can’t expect a dramatic change in the character of big media. It is not simply a matter of funding. In fact, the corporate owns most of the channels of mass communication by proxy. Financers have acquired a direct control over editorial policies and space for independent opinion has been pushed to margins. In this climate, there are no level playing fields and asbestos industry is likely to enjoy a huge clandestine support by “hidden persuaders”. However, this can be effectively neutralized by peoples’ awareness and concerted perseverance of scientific associations. A scientific debate that relates to people’s health is being played out in public, without any visible opposition. The only way out seems to be academicians’ direct partnership with people. It would be fatalistic to say that academics don’t stand a chance against media onslaught. Even a single vote matters and can start a critical motion for huge changes. truth is likely to be held hostage. 1. Lilienfeld DE. The silence: the asbestos industry and early occupational cancer research - a case study. Am J Public Health. 1991;81:791-800. 2. LaDou J. The Asbestos Cancer Epidemic. Environ Health Perspect. 2004; 112:285-290. 3. Environmental Protection Agency. Airborne asbestos health assessment update. Washington DC: The Agency, 1986. Occup Environ Health. 2004; 10:233-9. 6. Nicholson WJ. The carcinogenicity of chrysotile asbestos-a review. Ind. Health. 2001; 39:57-64. 7. Selikoff IJ, Seidman H. Asbestos associated deaths among insulation workers in the United States and Canada, 1967- 1987. Ann NY Acad Sci. 1991;643:1-14. 8. Selikoff IJ, Churg J, Hammond EC. Asbestos exposure and neoplasia. JAMA. 1964; 188: 22-6. 9. International Agency for Research on Cancer. IARC monographs on the evaluation of carcinogenic risks to humans, Suppl 7. Lyon: The Agency, 1987: 106-16. 10. World Health Organization. Environmental health criteria 203: chrysotile asbestos. Geneva. The Organization, 1998: 97-8. 11. Landrigan PJ. Asbestos: still a carcinogen (editorial). N Engl J Med. 1998;338: 1618-9. 12. Cullen MR. Chrysotile asbestos: enough is enough. Lancet. 1998;351: 1377-8. 13. Laurie Kazan-Allen. Indian companies flourish in proasbestos climate. IBAS. 2004 Nov [cited 2005 Mar 9]. Available from: http://www.btinternet.com/ibas/lka indian comp pro asb.htm#1. 14. Madhan G. Gamco Industries: Buy. Financial Daily-The Hindu. 2004 Oct. 17. 15. Chrysotile Asbestos Cement Products Manufacturersí Association. Advertisement. India Today. 2002 Sep 2. 16. Chrysotile Asbestos Cement Products Manufacturers’ Association. Advertisement. Hindustan Times. 2003 Jul 8. 17. Anonymous. Blast those myths about asbestos cement (a special feature). The Indian Express. 2003 Jul 15. 18. Scientific findings squash asbestos cement myth at international conference. The Indian Express. 2004 Jan 24. 19. Tehelka bureau. The Return of Asbestos: With environmental norms in palce, the uncertainty surrounding this industry recedes as companies plan to get out of the gloom. Tehelka. 20. Michaels D. Waiting for the body count: corporate decisionmaking and bladder cancer in the U.S. dye industry. Med Anthropol Q. 1988;2:215-32. University College of Medical Sciences and GTB Hospital, Delhi. There is much to admire about Canada. Canadian society is far less violent; people in Canada often leave their doors unlocked while running errands during the day. Canadian industries do not abandon their workers and ship their operations overseas in order to take advantage of cheap labor abroad. Small wonder that increasing numbers of Americans cast their eyes north of the U.S. border with some longing; many have even crossed over. However, Ottawa has a dirty secret: asbestos. Mr. Kovalevsky has not been looking very far. In fact, numerous studies have demonstrated that as far as long-ranging health effects are concerned, chrysotile is no less harmful than amphibole. Business first, however… Quebec’s chrysotile mines constitute a major industry and source of revenue… and most of this asbestos is exported to developing countries. Inside the country, Canadians of conscience are starting to speak out against their government’s misguided policy. Ban Asbestos Canada, a non-profit organization based in Edmonton, Alberta, as well as Ontario, is dedicated to ending Canada’s asbestos trade. Their website is at http://www.bacanada.org/main.html. Agence France-Presse. “Russia Protests as Global Forum Urges Asbestos Ban.” 12 September 2007. Bowker, Michael. Bowker, Michael. Fatal Deception: The Terrifying True Story of How Asbestos is Killing America. New York: Touchstone, 2003. Environment Canada. “Canada’s Position on Chrysotile” (Website). 28 February 2004. http://www.ec.gc.ca/nopp/docs/consult/Rotterdam/ca/en/gov.cfm. Wikipedia. “Asbestos and the Law.” http://en.wikipedia.org/wiki/Asbestosis_-_Compensation_and_Liability_Disputes. (Moscow/12.09.2007) The unequivocal conclusion of the session organized by ISSA’s Special Commission on Prevention was that asbestos kills people and must be banned. Once heralded as a miracle product, asbestos was described by one speaker as a “serial killer”. In reports, the ISSA has reiterated that there is no such thing as “good” asbestos, and evidence confirms that, each year, its cancer‑inducing fibres are responsible for an estimated 80-100,000 deaths globally, mainly among workers. Panellists agreed that the international scientific consensus is that asbestos causes cancer in humans even in small quantities. 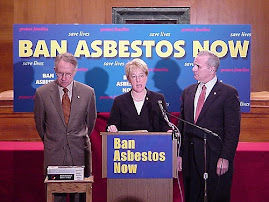 In 2004, at the ISSA Assembly in Beijing, the Special Commission adopted a Declaration calling for a ban on asbestos, but less than 45 countries have made the production and use of asbestos illegal. Participants also recognized that the ISSA should strengthen its role in informing and influencing political decision-makers about the risks of asbestos and the experience of countries that have introduced a ban. Special Commission Chairman Mr. Jean‑Luc Marié concluded that the ISSA should go further than a call to ban the production, sale and use of asbestos. Asbestos is a “time bomb”, he said, and there should now be a concerted international effort to close and secure the mines.